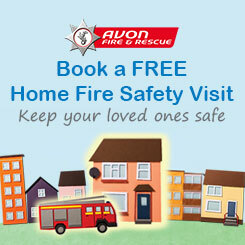 Avon Fire and Rescue Service (AF&RS) has teamed up with Unite Students to help keep students safe. Crews from Temple fire station visited four properties across Bristol - Favell House, Waverley House, The Rackhay and Orchard Heights - for fire drills and to provide fire safety advice over 450 students who all evacuated safely in less than 10 minutes. The move comes following a spate of false alarm calls at student accommodation properties in the city. Between April 2017 and March 2018, firefighters were called to 51 false alarms. The no notice drills, which took place ahead of Fire Safety Week, saw students evacuated from properties to learn about escape routes, hazards and other factors that may cause issues during an evacuation. After the evacuations, crews discussed with them the importance of evacuating in a timely manner and gave fire safety advice highlighting the importance of students not becoming distracted whilst cooking and reminded them not to cook at all if they’ve been drinking. It’s hoped that following this advice will reduce the risk of fire, putting fewer lives and treasured possessions in danger. Chris Geake, White Watch Manager at Temple fire station, said: “False alarms in student accommodation, especially at the start of the academic year, are something we want to help reduce. “Call outs are normally avoidable and are a drain on valuable resources that could be better used elsewhere. Not all call outs to student accommodation are false alarms though, with one incident in May causing the evacuation of 200 students in the Kingsdown area. Firefighters from Temple, Bedminster and Southmead fire stations, along with the Turntable Ladder from Temple, were called to a fire in the third floor flat of a six-floor building (not owned by Unite Students). High rise procedures were put in place and Firefighters in breathing apparatus used one hose reel and one covering jet to extinguish the fire which was caused by an electronic battery pack. Approximately 200 students were evacuated from the building and one female in her 20s was treated for smoke inhalation by paramedics at the scene. Steve Batley, Safety Director at Unite Students, added: “Every year we welcome 50,000 students to their new homes in our properties across the UK as they start University. “Avon Fire and Rescue and other local fire services play an important role in helping us keep students safe by educating them about fire safety and ensuring we have strong fire safety processes in place.